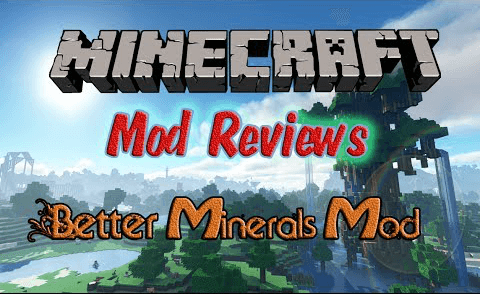 The Better Minerals mod adds 8 new Ores and items for them along with 16 new tool sets that show off the MOH’s hardness scale. The Moh’s hardness scale says that minerals can scratch minerals that are softer than them. With 1 (talc) as the lowest and 10(diamond) as the hardest, you can use different minerals to see their hardness. Quartz and diamond are already in the game but quartz doesn’t have many uses. I added 9 tool sets and 9 armor sets (diamond already has these). Corundum is a type of mineral and Sapphires are a subset of them. Sapphires can be any color except red. A red sapphire is a ruby.